Choosing a partner with uncompromising integrity to oversee your accounting functions is essential when running a small business. Discover why so many business owners in the Pasadena, CA area trust a accounting firm, that’s part of their community, Figueroa & Co. We have a stellar reputation for providing quality accounting services and money-saving tax strategies coupled with unparalleled customer support. Find out how we can team up to build your business and your personal wealth. Request your free consultation through our website or call 626-793-4322 and get started now. 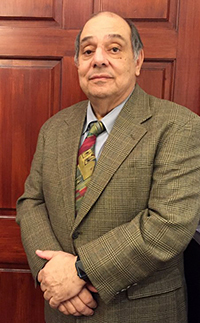 Fred A. Figueroa has over 30 years of experience as a corporate and tax manager and preparer. A graduate of the University of Southern California with a Bachelor of Science Degree in Accounting and Finance, he represents a variety of clients dealing in products of goods and services. Active in community affairs, Fred has served on several boards of directors. He is a member of the American Finance Association, an Enrolled Agent, a Certified Tax Coach, Principal Senior Tax Specialist, Business Management Consultant, Retirement/Pension Advisor and an Advance QuickBooks Advisor.